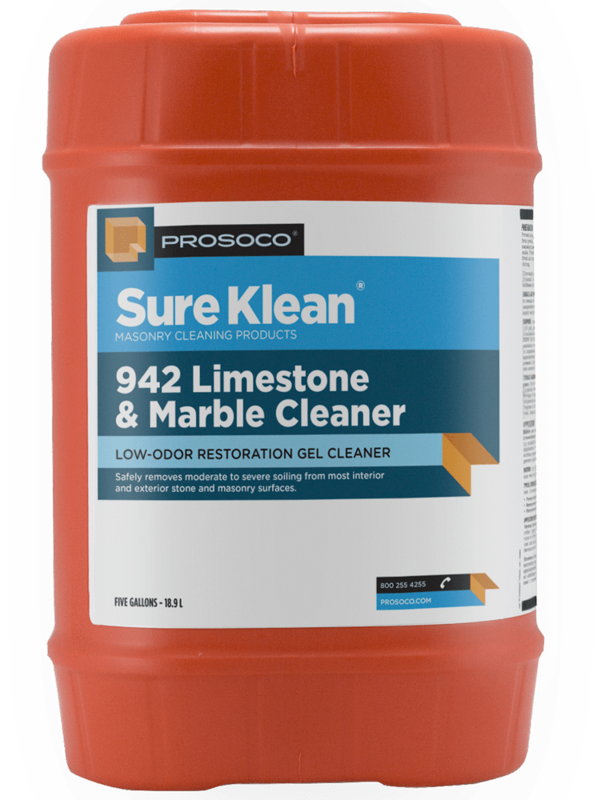 942 Limestone and Marble Cleaner is a ready-to-use, non-acidic alkaline cleaning gel. Designed for removing moderate to severe atmospheric staining, this low-odor gel cleaner is appropriate for use on exterior or interior masonry surfaces. Thoroughly cleans without danger of etching or bleaching. 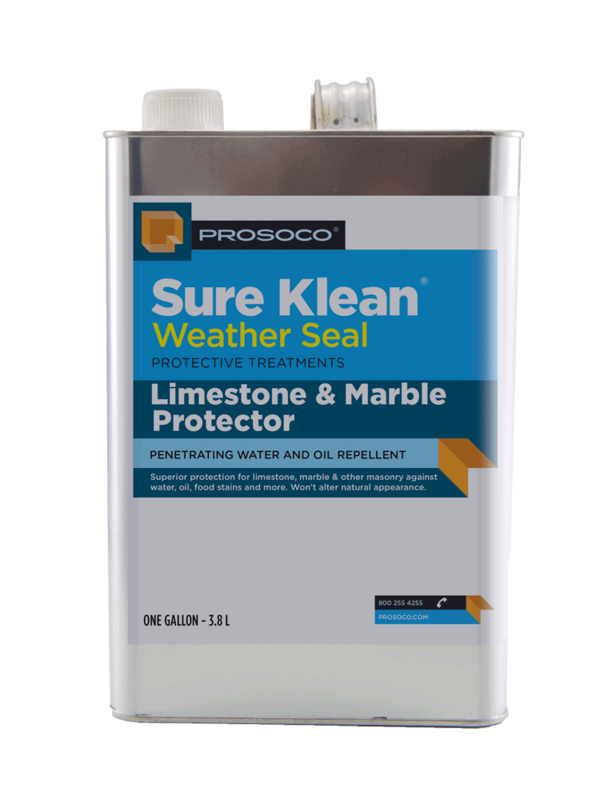 Restores the color and surface texture of most polished and unpolished stonework. Gel consistency prevents dripping and spilling. Material “clings” to vertical surfaces. COVERAGE RATE75-200 sq ft/gal. See Product Data Sheet for specific variations per substrate. 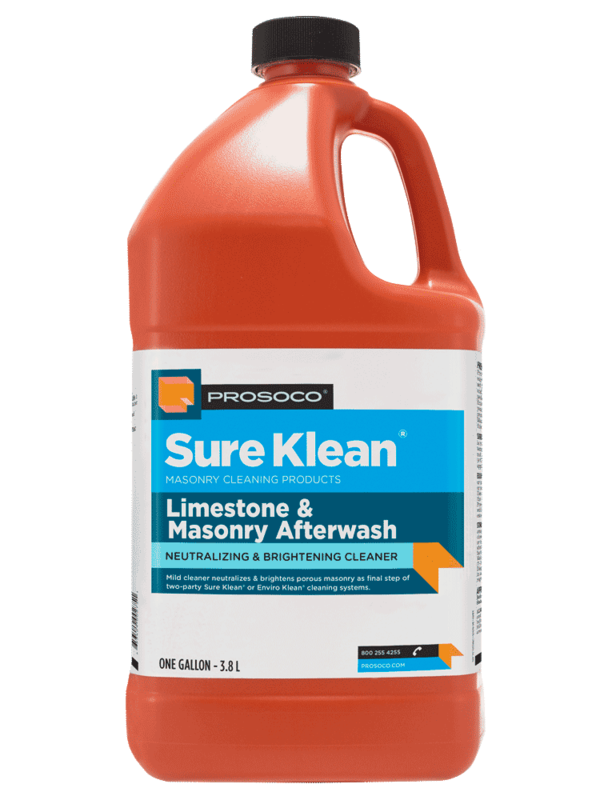 PROSOCO® Sure Klean® 942 Limestone and Marble Cleaner is a ready-to-use, non-acidic alkaline cleaning gel. Designed for removing moderate to severe atmospheric staining, this low-odor gel cleaner is appropriate for use on exterior or interior masonry surfaces. 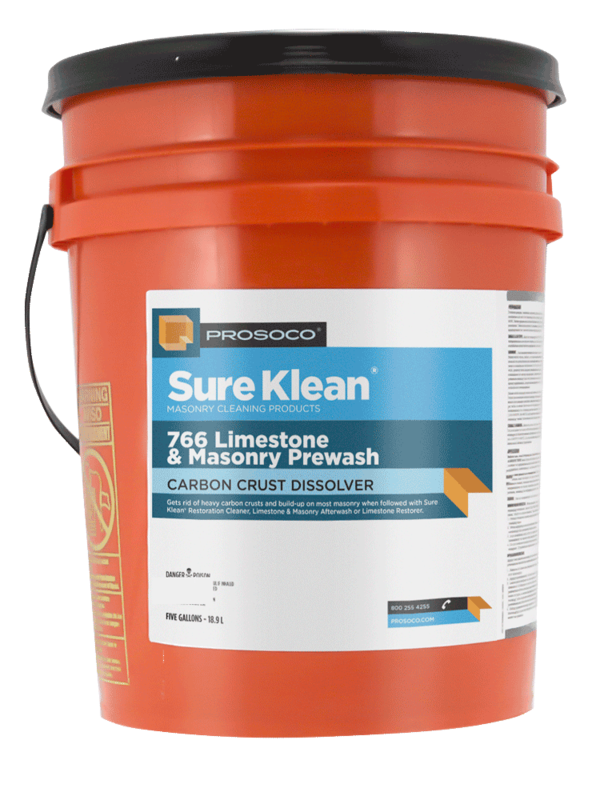 Safe for use on most polished or unpolished marble and limestone surfaces, 942 Limestone and Marble Cleaner removes surface and subsurface staining, restoring surfaces to their original appearance. Thoroughly cleans without danger of etching or bleaching. Restores the color and surface texture of most polished and unpolished stonework. 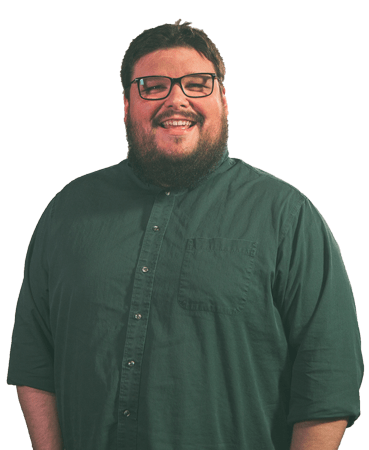 Will not damage most flooring materials and adjoining surfaces. Gel consistency prevents dripping and spilling. Material "clings" to vertical surfaces.